Today we’ll show you how to deploy Mura CMS to the cloud without any code changes required in no time. easy app integration (it provides a number of approaches for integrating CFML applications into your Mura CMS environment). Just like Jelastic makes easier the deployment process Mura makes it easier and faster to build and update websites. So, let’s combine these two great solutions and deploy Mura CMS into Jelastic Cloud. 3. 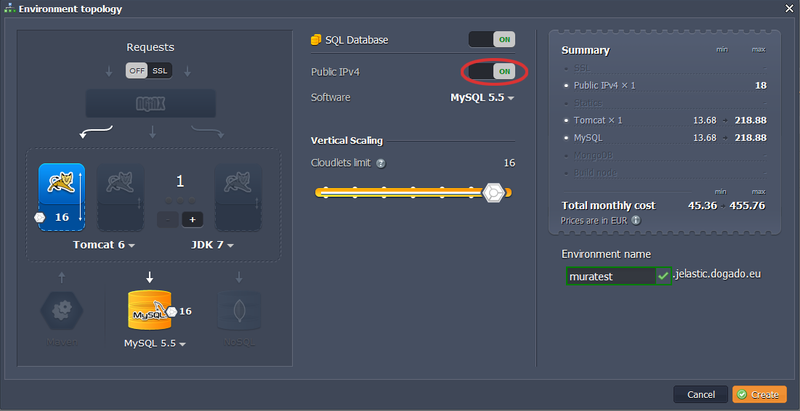 Choose Tomcat 6 as your application server and MySQL as the database you want to use and set the cloudlets limit. Switch on Public IPv4 for MySQL. Then type your environment name, for example, muratest, and click Create. Notice: having a public IP is a paid add-on. It is billed hourly. Pricing differs by hoster. You can find it within the dashboard. 4. 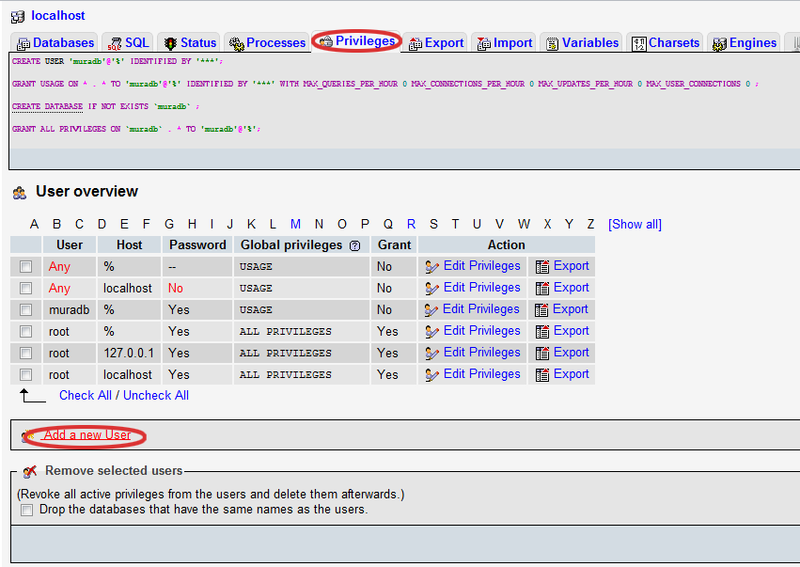 Click the info button for MySQL and you’ll see your Public IP in the end of the dropdown list. 2. When you created the environment, Jelastic sent you the email with credentials to the database. Create an account and the database with the application using these credentials. 3. 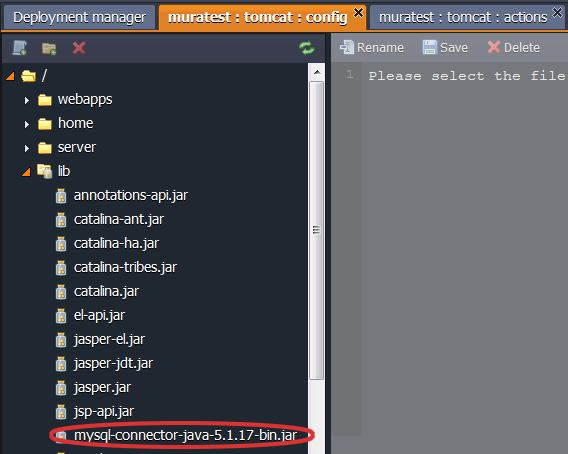 Click config button for Tomcat and upload MySQL connector to the lib folder. You need a CFML application server to run Mura CMS (ColdFusion or Railo or OpenBD). We’ll use Railo server in this tutorial. 1. Go to Railo web site, click Downloads and download the latest Railo release as a WAR archive. 3. 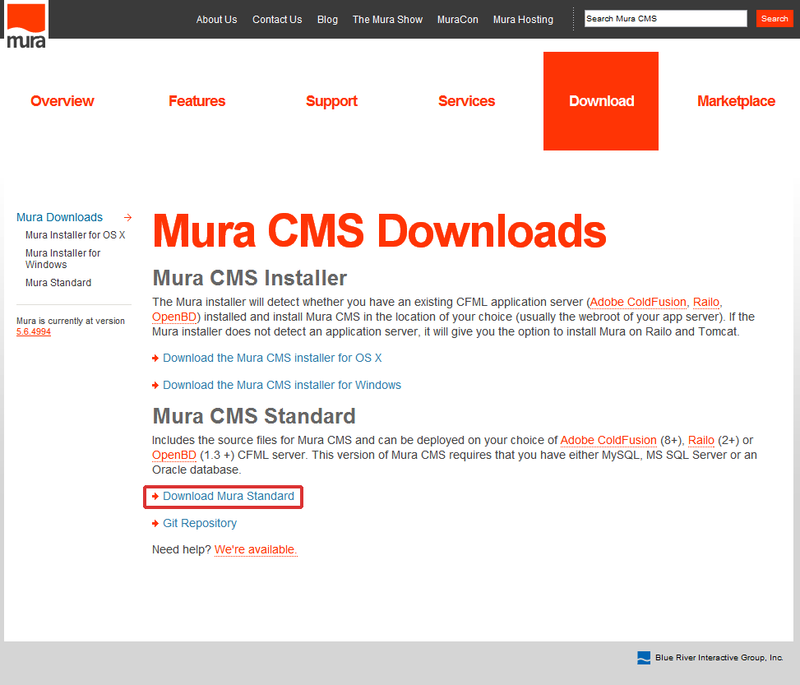 Navigate to www.getmura.com, click on Downloads, fill in the suggested form or just skip it and download the source files for Mura CMS, which you can run using the CFML engine of your choice (Mura Standard). 5. Create a new folder in unpacked railo-x.x.x directory (e.g. muracms). Drop admin, config, default, plugins, requirements, tasks, Application.cfc, index.cfm, MuraProxy.cfc and web.config from mura-x.x.x directory to the folder, you have just created. 6. Create a WAR file from the railo-x.x.x folder content (just put the content of this folder to another zip archive file, for example muracms.zip, and rename it to muracms.war or any name with the .war extension). 7. 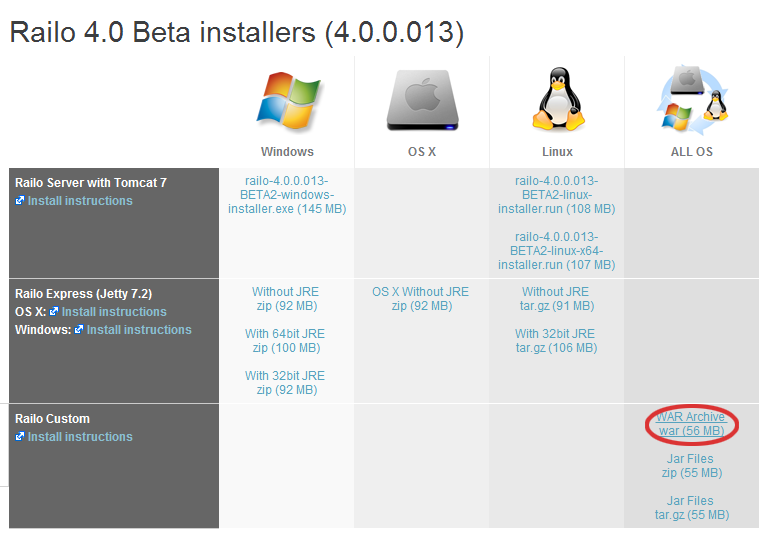 Switch back to the Jelastic dashboard and upload your java package to the Deployment manager. 8. Once the package is in Jelastic, deploy it to the environment you have created earlier. 1. Open your application in a web browser and you’ll see Railo welcome page. Navigate to Railo Web Admin using the next URL format http://mydomain.com/railo-context/admin/web.cfm and submit your new password. 2. 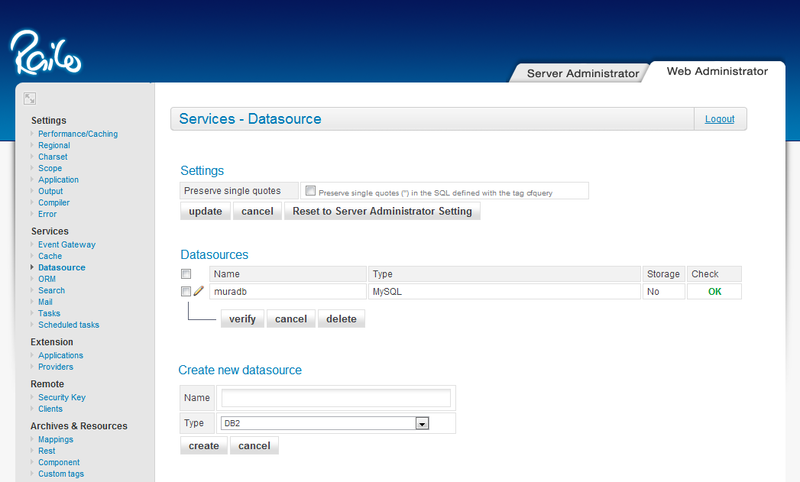 Create a new datasource (in our case the type of datasource is MySQL). 3. 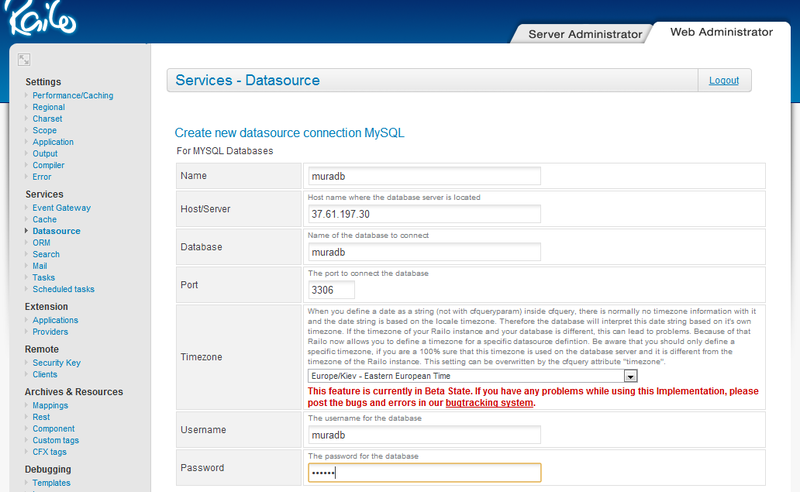 Then create a new database connection for MySQL database. Insert the name of the connection, specify the host which you want to use (enter your Public IPv4 for MySQL ), the name of the database, connection port (3306), type your database username and password. Also you can specify some extra settings such as connection limit, connection timeout, allowed operations and so on. As you can see the connection has been successfully set. 1. 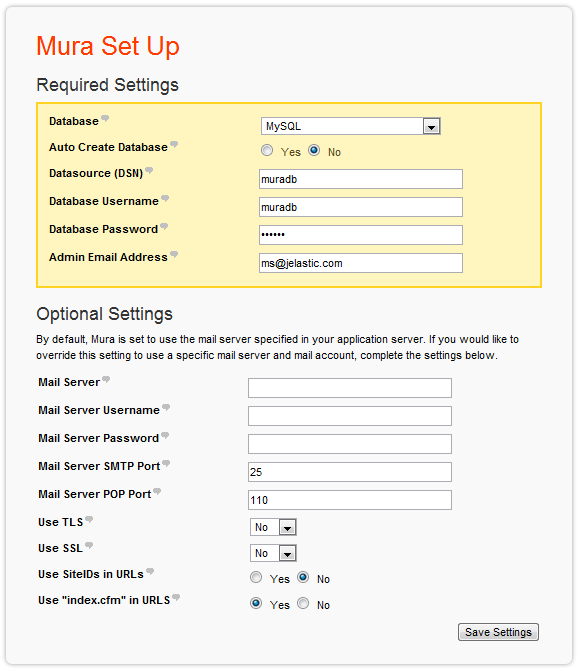 Go to Mura CMS setup wizard using the next URL format http://mydomain.com/muracms and fill in all the required fields (database type, datasource, you have created earlier within Railo Web Admin, database username, password and admin email address). 2. 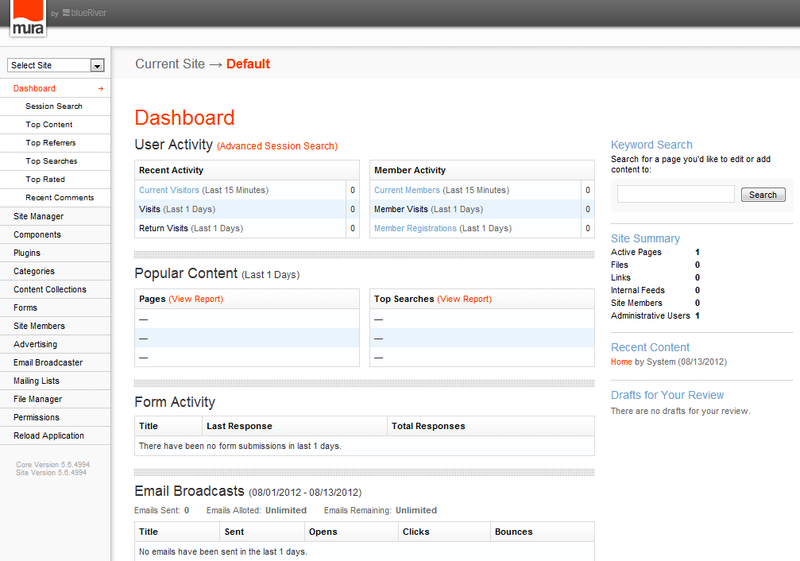 Finally you can finish the setup, log in with the default credentials (admin/admin) and begin to use Mura CMS.